do not be under the slightest impression that the industries even give a damn about your health and well being, money, money, money is ALL that counts. ( like they can take it with them) only things that cost them will they take any notice of. like if their systems get constantly vandalised. .. then they notice.. So how do you not have a smart meter installed if they say you must and give you no choice? called SSe yesterday to say to remove me from the smart meter campaign list. ok she says. , so that's a start/ if you have an indoor meter, then refuse entry, if you have an outdoor meter have someone install a metal bracket over the analog meter so it cannot be removed, have it padlocked on. it is illegal to remove it. if it is installed already outside. it may get vandalised, no fault of yours, in USA 3 vandalisations and they replace the analog meter. you have to be aware that you do not count for squat to them, they don't give a sh*t what you want or don't want. Ok, don't know if this is the best forum choice for posting this, but it does relate to the encroachment of the whole Smart Meter worldwide dilemma, along with the GeoEngineering pollution which works in conjunction with the electrification system/wireless mileu surrounding us. Elena lays out the BIG PICTURE with so many of the disjointed pieces. Hi , I would like to see "documented scientific proof" of your claims in this article,a person can say anything and make it sound like facts. I just dont believe what you are saying is actually true...give me your "documented scientific proof". "emiting microwave radiation in the 900+ megahertz frequency band", etc. You cannot escape. You are not allowed to keep your safe, secure, long lasing analog meter. They may let you "opt out" but they still will not allow you to opt out of getting a made-in-China meter that emits radio-frequency, microwave radiation and dirty electricity. The utility company and their electricians and CEO will simply lie to you, tell you it's not a smart meter, and take your opt out money. Never forget or forgive, Obama, the man that handed out billions of our tax dollars to the states and the utility companies to force these Chinese transceivers on our homes, for our water, gas, and electricity which will give China on-going trillions in profits, but give American vulnerability to cyber attacks and sickness. There is no reason to be blasting minute-by-minute energy use surveillance to the utility corporations. They bill us once a month but they refuse to allow a meter that only blasts billing information once a month. Shame on Americans for allowing this and shame on Obama. On top of this disaster in the making, there are others, like geoengineering, vaccination programmes, GMOs and fluoridation which contribute to wide-spread illness and to our eventual (planned) demise unless we change course. Excellent article, lots of great information here! Thank you. One correction, though. It's not only electric companies that are and have been installing transmitting utility meters that emit pulses of radiofrequency radiation. Natural gas companies are and have been installing them also. From my experience, they are called AMR, or AMR ERT meters. Many people have also become ill after the gas company "upgrades" their meters to a meter that transmits a more powerful signal, and pulses radiation numerous times per minute, 24/7. Smart meters should not be installed on homes. Besides the serious adverse health effects, they have caused many "unique" home fires in California where the fires started at the same time at every outlet in the house resulting in intensive damage. Some houses had more than one fire. It was said to be caused by improper grounding but the fires would have not have been triggered if the smart meters were not present and if the older system was present. Dr. Becker studied and wrote about the body electric, particularly in terms of electromagnetic frequency exposure that increased bone healing or prevented it. From what I recall, a narrow range under about 9 seemed to be involved in healing responses, but that 60 hertz as shown in the graph was a horrible frequency for human exposure. Likely European 50 hertz is not much better. Even solar energy with invertors and storage batteries and conversion from dc to ac current has these adverse health effect characteristics. 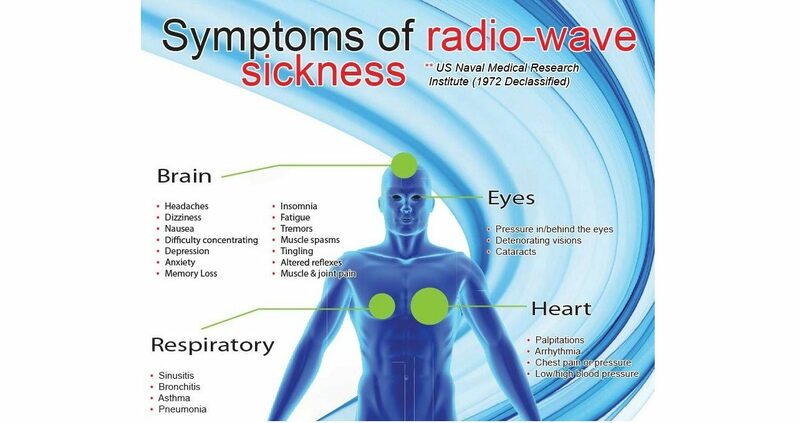 What frequencies might not cause human adverse health effects? The solar and wind industries should look into finding a functional frequency that does not harm human health but heals it.